I love rompers, but don’t have one. I don’t see them very often. I’ll check out Loft. Thanks! 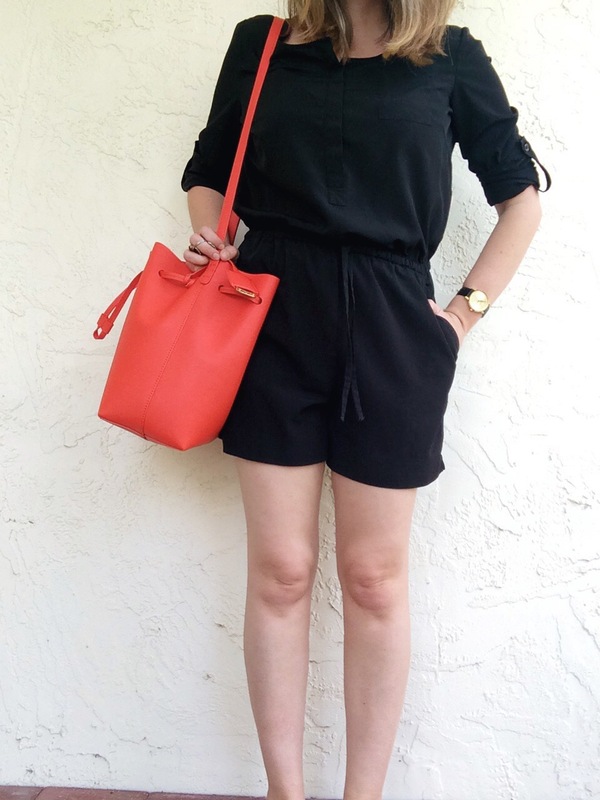 I’m obsessed with bucket bags – what a great pop of color for spring! I like the jumpsuit and I’m lovin’ that bag even more!! I’m obsessed with black outfits and the pop of color. This is so cute! That Look ist verry nice :) ! Cute outfit and your hair looks great too! I still love that bag!!! That jumpsuit is cute but the orange bag is amazing! !